First, get to know key considerations outlined in a new infographic by Couples Resorts, premiere wedding resorts in the Caribbean. Say yes to the destination wedding of your dreams! Choosing a location is sometimes the easy part – there is a lot more to organising a wedding than you may think, even if it is taking place on a beach! From invites to venues, weather checks to guest appreciation. There is a a great deal of work involved in putting together the most memorable day of your lives! Whether exchanging vows on the white sand beach or on your own private island, hosting intimate outdoor dinners or memorable receptions with sumptuous buffets, you will find everything you ever dreamed of at Couples Resorts. We offer a host of wedding packages, from big to small, which can be tailored to suit the needs and wants of you and your loved one. Furthermore, our specialist wedding planners are experts when it comes to Caribbean wedding celebrations, so there is little for you to worry about! 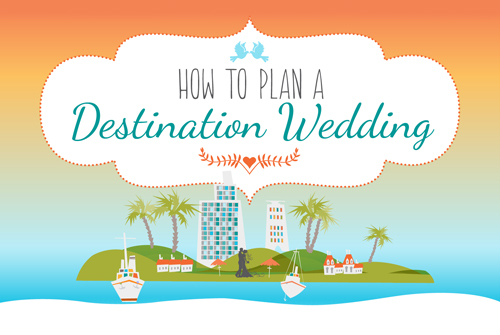 Check out the infographic below and you’ll be on your way to planning the all-inclusive wedding of your dreams!